techniques are some examples of filtering. 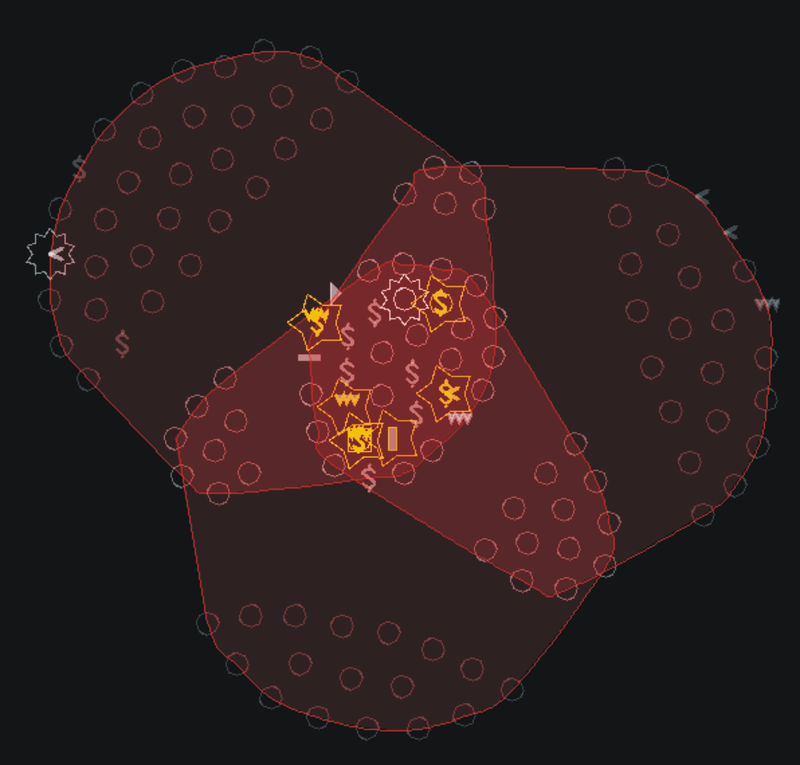 wrapping separate groups of nodes by areas. collecting the corresponding information from www.imdb.com. directors are squares and actors are circles). 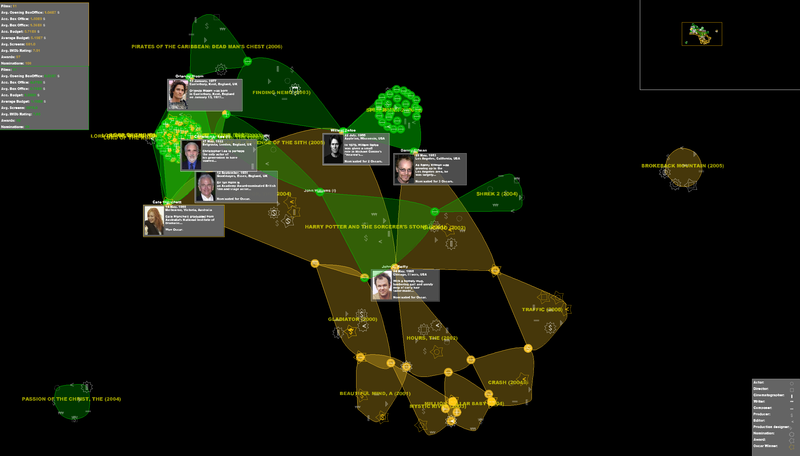 even nodes in an overview. illustrates the entire process of graph building and layout. size, color and shape of the glyph represent different dimensions. roles can be represented and easily identified (see fig. 3). identify different movie subgroups following some criterium). in which the person works. demand from the internet and drawn next to the corresponding node. Figure 3. Roles legend and it's application in a movie. We can easily determine that the cinematographer of 'The Passion of the Christ' have been nominated, there are two writers, one of them being the director and co-producer of the movie. Change force parameters for string and expansive forces. Search for person names or film titles. Visualise or hide edges and hulls. 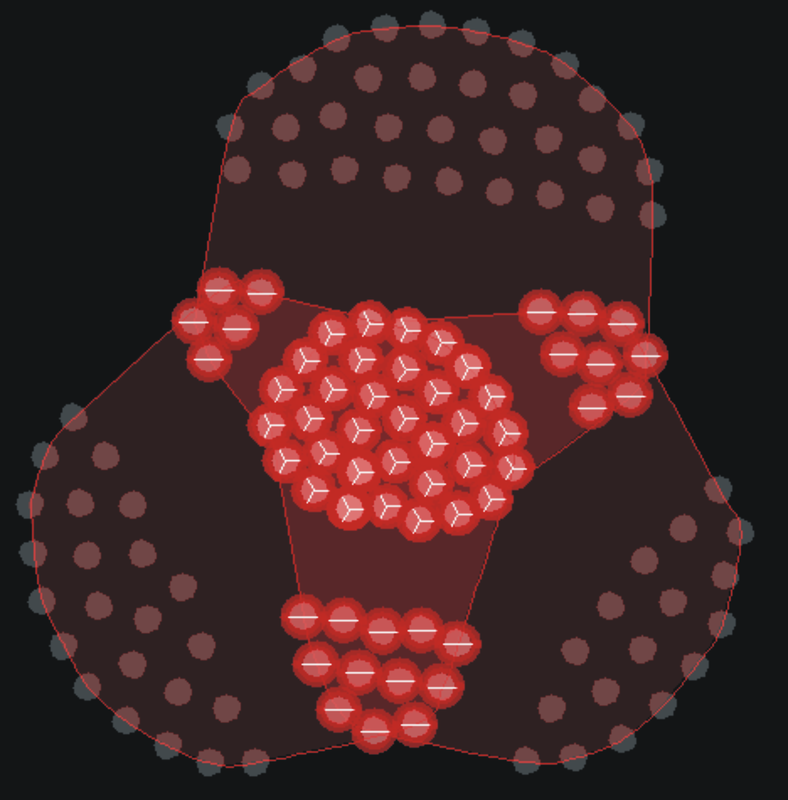 Highlight the nodes connected to a particular node. Overview and detail of the represented graphs. in the all its films. Figure 4c. 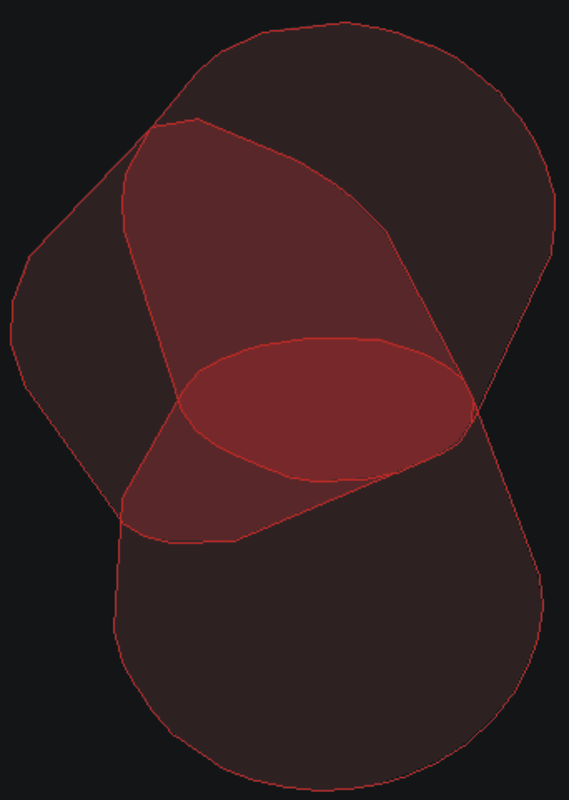 Visualization of zones alone, hidding nodes along with edges. the most relevant people involved. movies or the inspection of an actor's filmography, for example. involved) Fig.5 shows the overlapping issue in detail. Figure 5. Detail of the visualization of the most awarded movies (yellow) and the films that earned more money (green). We can observe how overlapping and pie charts helps us with graph interpretation without effort. Top group of two-sector pie charts with more opaque zone are the overlapping of the two movies of Spider-Man, with nearly the same cast. John Williams (center-left), although inside a yellow movie, is easily distinguished as out of the movie because of the pie chart and the green zones connections. Danny Elfman is in three movies (three sectors, two green and one yellow), participating in the Spider-man saga and in an awarded movie, 'Chicago'. By contrast, John C. Reilly appears in awarded movies but not blockbusters, working each time with completely different sets of people.